Until recently, the Photographic Society of America (PSA), to whose judging criteria the Placer Camera Club adheres, disallowed the “hand of man” in any way on photographs submitted in the “Nature” category. I have always considered that an arbitrary and misguided rule. However, last meeting, I submitted this photograph of a red-tailed hawk for consideration in the “Nature” category because finally, PSA has modified its criteria and one of the modifications was that, under some circumstances, the “hand of man” is acceptable. 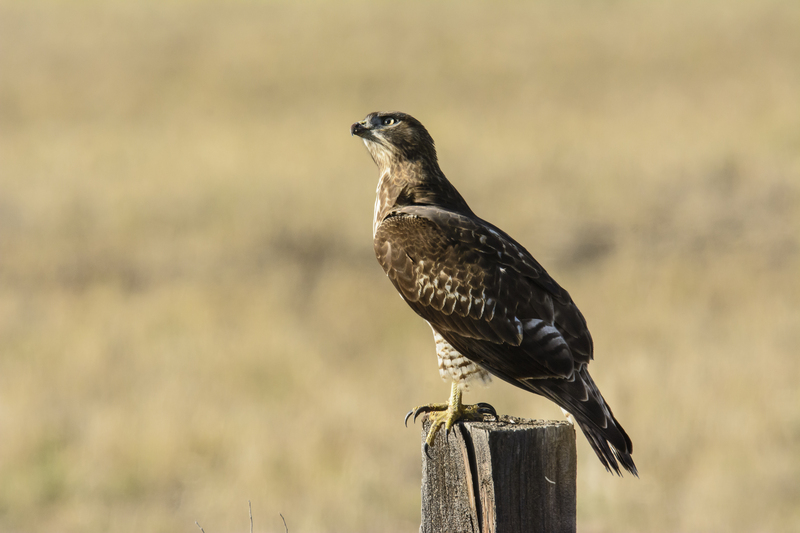 An example is when a wild creature, such as a hawk, perches on a fence post, as is their habit, in search of prey. If the fence post is there incidentally, then a photograph including a fence post with a hawk perched on it, can be considered “Nature.” The judge at the last meeting liked my photograph well enough to give it a score of 11 out of a possible 12. However, he was concerned that I might have included too much of the fence post and spoke at length about it. Hmmmm. 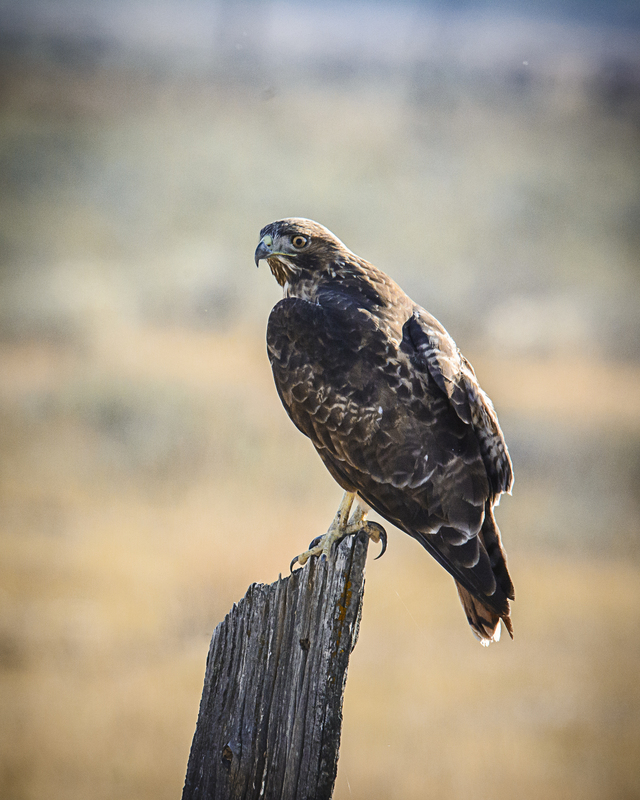 This is another photograph of the same hawk, taken on the same day, after it flew to another fence post which protrudes even higher into the frame than does the fence post in the other photograph. To make this even more questionable as a legitimate “nature” entry, I also edited this shot using Photoshop’s High Pass filter to give it just a little more je ne sais quoi. I learned about using this filter from one of my camera club members who made a presentation about it at the last meeting; he suggested the judge cover his ears as this was considered a “fool the judges” edit. This entry was posted on November 3, 2015 by Carol Smith. It was filed under Uncategorized . If you cropped up to exclude part of the fence post you’d have to crop down from the top to balance the hawk in the frame. It would be a tighter shot. I don’t think the high pass filter does anything to disqualify the photo from nature, it’s a processing step, but it doesn’t materially alter the subject. That judge is known for his desire to crop everything, I like the fence post and it’s weathered lichen look. Sorry to have missed that meeting. I can’t stand all these rules! And I love this beautiful image- the perfectly sharp hawk with the softly muted background! The fencepost? Interesting in its own right, it adds to the photo. all your photos are poetry in motion! gorgeous!